iRoofing is one of the best apps available for roofing contractors aimed at saving time and money. The redesigned app now features video, social media, and feedback from your customer to provide all relevant details to future customers. The iRoofing app will provide you tools to measure, display roof’s images, evaluate design criteria, and could even create the project's rendering of the proposed roof installation. The iRoofing app is designed to help roofing contractors get more leads, boost sales, and complete proposals by using the customized service provided by the app. Simulate the finished roof installation using an existing roof photo. Variances are in the range of less than 2 percent when compared to actual roof measurements. Hips, valleys, ridge, rakes, and eave can be marked, and material can be ordered quickly. Using Google maps, the roof pitch can be determined and then compared to actual roof measurements. All documents and images can be saved, emailed, or printed, for sharing the information and including it in your proposal. Place material orders with most of the top U.S. distributor/suppliers, and the list can be modified to add additional suppliers. Material orders can be customized, and delivery will be specified in the purchase order. This construction app will allow you to update your own business logo, create a photo gallery to upload photos, use the roof replacement simulator, upload your catalog, and be able to push information to your clients regarding latest news and products. 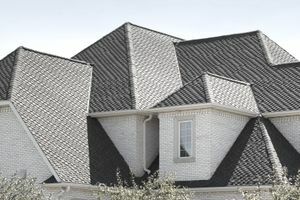 Distributors could also be listed, allowing them to be discovered when iRoofing users search using the GPS capability to find the nearest manufacturers, distributors, and vendors. More information about this construction app could be found at www.iroofing.org, and the app is downloaded from Apple Appstore. The app should be used to generate proposals, allowing roofing contractors to provide homeowners with different photos scaled to actual dimensions. It can be used to present various alternatives to the building owner based on material, shapes, and colors. To make things even easier, contracts can be uploaded and edited on the go, creating a unique database for each of your customers. All the information is synced with your calendar, and you will have access to material orders, contracts, design center, simulator, and images. A new estimating tool will soon be added to the app enhancing the tool to provide even more accurate take-offs and estimates. The app comes with unlimited one-on-one training when you pay for a $129 per month subscription. This subscription, valid for three licenses, provides unlimited use, and all the information is managed and stored using a secure server. There is one additional package on a per year basis, and this one comes with one iPad for you to use.